Olwen Blessing, a student at Wake Technical Community College in Raleigh, N.C., is unenthused about her choices for president. RALEIGH, N.C. — The slur left Juan Guadarrama feeling sickened and dispirited, not just about the loutish teenagers in their car, but about the American presidential election. The epithet was hurled through an open window as Guadarrama stood in the parking lot of Buffalo Wild Wings, on his way with friends to celebrate his 25th birthday. Four years later, Guadarrama was back home in North Carolina, attending community college in one of the swing-state cauldrons of the 2016 presidential campaign, swept up in an election raging with animosity toward Latinos, Muslims, and immigrants unleashed by the Republican nominee for president. Lurking beneath Boca Raton’s sun-kissed beauty is a layer of anger directed at Muslims, the sort of fear and resentment that Donald Trump exploits in his divisive bid for president. Read: Being white, and a minority, in Ga.
Guadarrama is backing Hillary Clinton, but with little enthusiasm. Excitement over Guadarrama’s preferred candidate, independent socialist Bernie Sanders, is long gone. 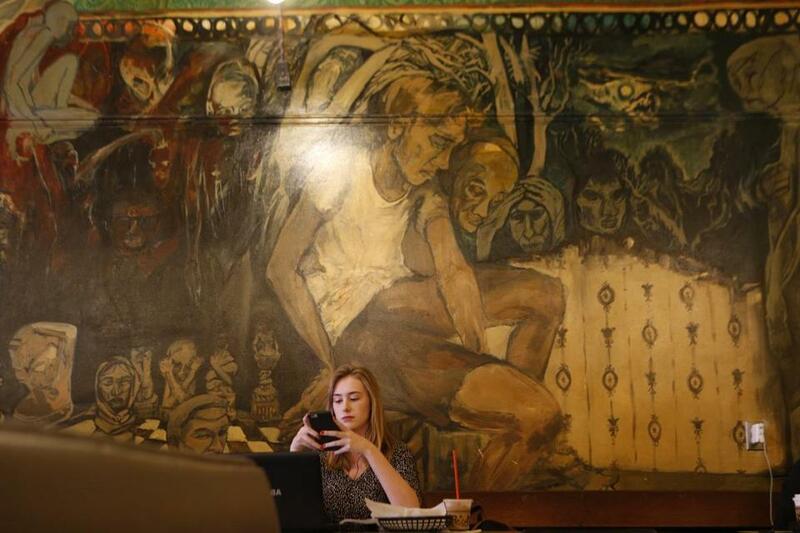 Interviews with more than three dozen millennials in Raleigh, a voter-rich battleground within a battleground state, revealed a profound sense of anger and alienation about the 2016 election. This bitter campaign — waged by two candidates who polls say are historically unappealing — has left younger Americans feeling punched in the gut. “Basically, Trump is everything wrong with America’s culture, and Hillary is everything wrong with our government,” said Janae Petitjean, 19, a Wake Technical Community College student who will be voting for the first time this year. In 2008, enthusiastic younger people celebrating a moment of social and political change helped usher Barack Obama into the White House and turn North Carolina blue, a feat not seen since Jimmy Carter in 1976. As Obama’s historic presidency draws to a close, the latest crop of young voters here and across the country is in danger of becoming disillusioned just as it comes of political age. So many of them were drawn to Sanders’ thundering talk of an economy “rigged” for the rich and of the need for a revolution in American politics. Sanders’ loss in the Democratic primary feels to them like a personal defeat that still rankles. In interview after interview, his young followers here expressed the same sentiments: They trusted him. They believed in him. They felt like partners in his mission rather than another demographic to be pandered to. Clinton, on the other hand, seems to them “inauthentic,” just another professional politician who has been working for decades by the rules of a broken system. A creature of status quo, that is, not someone who can transform it. Such searing experiences, especially for new voters, can have lasting effects. Juan Guadarrama, the son of Mexican immigrants who came here illegally, said he’s “disgusted” with the campaign since Bernie Sanders dropped out of the race. Members of the millennial generation already tend to feel detached from the institutions underpinning American civic life, research shows. They yearn for more authenticity from their politicians and more attention to issues like inequality, racial injustice, and climate change. Millennials have the potential to wield great influence this election and beyond — if they choose to, that is. Had Mitt Romney managed to just split the youth vote evenly with President Obama in 2012, the former Massachusetts governor would have won the White House, a Tufts analysis concluded. Since then, the millennial generation — loosely defined as those born between 1980 and 2000 — has grown to an even larger share of the US electorate, roughly equal to baby boomers. They are breaking toward Clinton, and their support for her seems to have solidified since the hot-mic tape of Trump making lewd and predatory comments hit the headlines. Nationally, a Fox News poll released Thursday found that 43 percent of likely voters under the age of 35 said they would vote for Clinton, a 12-point lead over Trump, in a four-way race that includes Libertarian Gary Johnson and Green Party candidate Jill Stein. That’s a turnaround from September, when the poll showed her winning 38 percent of this youthful cohort. Raleigh is rich in this key demographic. Part of North Carolina’s “Research Triangle,” the city is home to the state’s largest public university and several other institutions. It’s included on lists like “Best Places for Young Professionals” and “Hottest Startup Hubs Outside of Silicon Valley.” The median age here is just shy of 33 years old, a full five years younger than that of the country as a whole. While they may not feel positive about the country’s immediate political future and expressed deep ambivalence about both the Republican and Democratic tickets, outright apathy is not part of the mix. Nearly all said they were determined to vote. A distinct few said they were planning to support a third-party candidate. He raised his fist in the air. “Gary Johnson!” he yelled. It turns out attracting millennials to your cause at times means treating Clinton, the group’s preferred choice, like the candidate-who-shall-not-be-named. NextGen doesn’t even mention Clinton in a recent ad seeking to undercut Libertarian Johnson’s growing appeal with younger voters. “Vote November 8 for someone who gets it,” the ad intones, after a series of clips showing Johnson dismissing climate change as a threat to the planet. 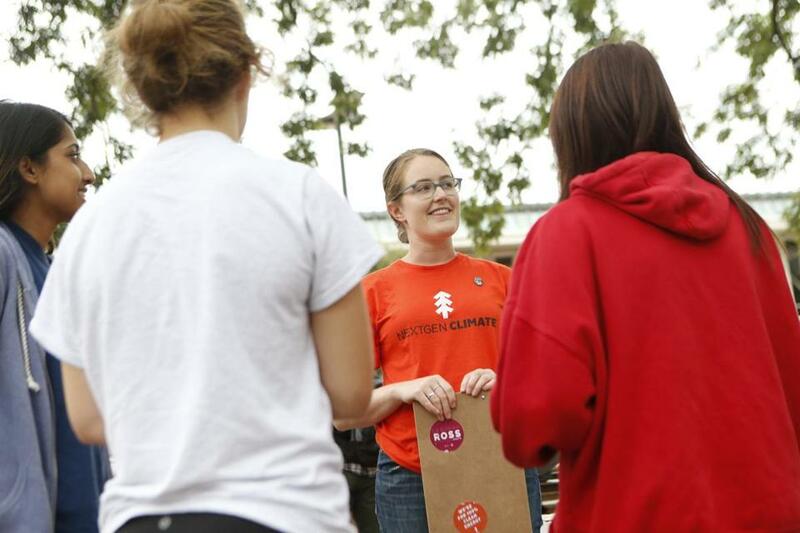 “We’re talking to young voters about climate change and other issues they care about most, because that’s what resonates best with them,” said NextGen spokeswoman Suzanne Henkels. With a budget of $25 million provided by its billionaire founder, Tom Steyer, NextGen has built the largest national field operation targeting millennials this election, with more than 6,500 staffers and volunteers on the ground in 13 states. NextGen’s North Carolina team spent a bit of that fortune getting 50 or so partygoers to watch the first Clinton-Trump debate at a sports bar near NC State. There were orange and white balloons tied to chairs. Guests drank free pints of Carolina Pale Ale and foraged for bar snacks at a buffet. At a booth beneath a huge TV screen, a clutch of young environmentalists debated the pivotal question facing this voting demographic: whether to vote for a third-party candidate. Conrad James, 24, disclosed he was planning to vote for the Green Party’s Jill Stein. Clinton, James said, has vacuumed up tens of millions in corporate campaign contributions, while the family’s Clinton Foundation has accepted donations from foreign regimes with poor human rights records. Also, Clinton hasn’t embraced the legalization of marijuana — James prefers to call it cannabis — a big issue for him. Emery Kiefer, an NC State senior and Clinton supporter, piped up. You’re throwing your vote away, she told him. Another student, Casey Young, is more sympathetic to James’s instinctive support for Stein. She has issues with Clinton’s trustworthiness, too. NextGen Climate’s Meredith Parish spoke with students at the University of North Carolina at Chapel Hill. Olwen Blessing, who is in her final semester at Wake Tech, didn’t bother showing up for Clinton. Blessing, at 22, follows the news about the horrors of civilian deaths in Aleppo. And she has other worries. So far she has piled up about $36,000 in student loans, much of it from two years she spent at Appalachian State University before she came back home and started over at Wake Tech, driving 80 miles round trip from her parents’ house to campus every day. It weighs her down, so she was glad to hear Clinton has a plan to minimize college debt. On the other hand, she said, she wonders whether Clinton is speaking out of genuine concern about the issue or whether she’s just telling millennials what they want to hear. On Wake Tech’s newish north campus, consternation with this election courses through Building E, a modern mix of dark stone, glass, and metal that sits at the intersection of Success Way and Excellence Drive. Victoria Paige Griffin, 18, sitting in Building E’s light-filled atrium, is a registered Republican, which she says makes her a relative rarity on campus. Trump’s “a little too bold. I like that he has a fiery attitude, but I believe he should control it more,” she said in a Sept. 28 interview, 10 days before the release of the explosive “Access Hollywood” video. Griffin is determined not to give in to the temptation to just sit the election out. She plans to do more research into Johnson and Stein. One of Griffin’s peers, Kevin Jeffers, 19, was considering sitting out his first chance to vote in a presidential election. “I just can’t get behind either one of them, so I don’t think I’m going to vote,” said Jeffers, who was wearing a suit and tie for a job interview later that day. In a follow-up interview, Jeffers said he is still not convinced, even after his parents sat him down and stressed the importance of having a say. 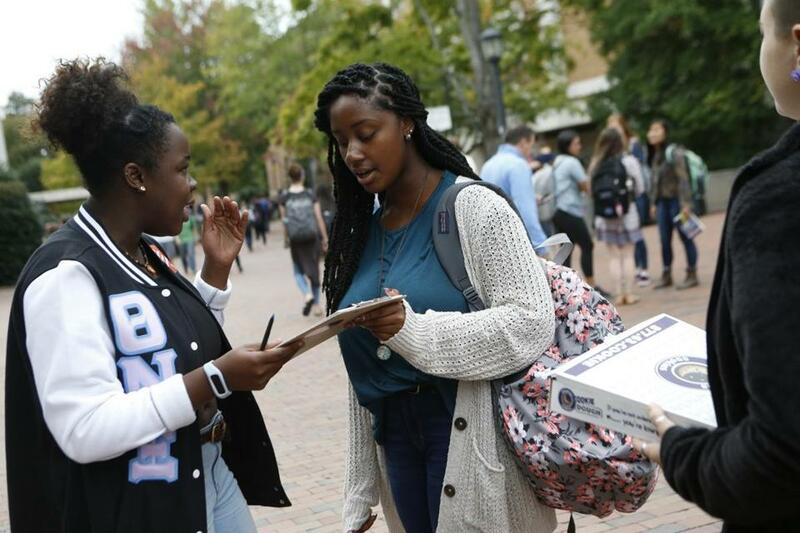 Oluseun Omitoogun (left) of NextGen Climate tried to persuade Mahogany Monette to commit to vote at a University of North Carolina at Chapel Hill event. For Garrett Ventry, 27, a communications consultant in Raleigh, the 2016 campaign has been all downhill since February, two days before the Republican primary in South Carolina. That’s when his favored candidate, Senator Marco Rubio of Florida, seemed like he might still have a shot. The Cuban-American candidate stood side by side with South Carolina’s Indian-American governor, Nikki Haley, and its African-American senator, Tim Scott. It was a vision of a more inclusive Republican Party, full of youth and hope and optimism. “It’s like we were moving in the right direction, then we nominate a 69-year-old billionaire,” said Ventry. He voted for John McCain in 2008 and Mitt Romney in 2012. Now he’s mostly just grieving about the fate of the party. “There’s some gut-wrenching moments there of what could have been or where we would be,” he said. He plans to vote for the down-ballot Republicans in North Carolina, and, when pressed by a reporter for his presidential choice, he decided on the spot: He plans to write in Republican Senator Kelly Ayotte of New Hampshire. Ventry lays some of the blame for Trump’s rise at the feet of Republican leaders who over-promised on their ability to repeal Obamacare, lower taxes, and defeat other planks of the president’s agenda. He also says ideological purity tests are consuming Republican politics, to the detriment of democracy. 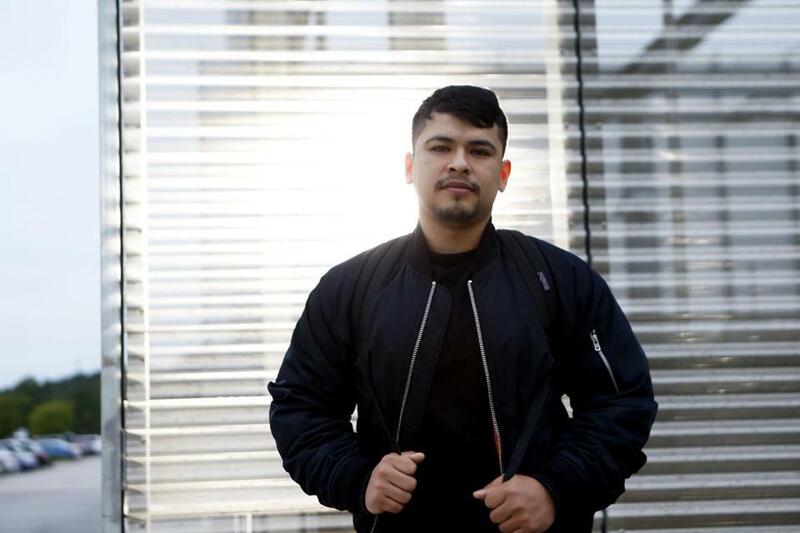 Guadarrama’s earliest memories include recollections of helping his parents pick cherries in fields a few hours’ drive from Seattle, where he was born. So he is angered by Trump’s scapegoating of hard-working immigrants for the economic struggles of the Republican’s mostly white supporters. And he worries that the forces Trump has unleashed will fester in future elections. He recalls a quote he’s heard of Martin Luther King Jr.’s in which the civil rights leader toward the end of his life worried he had led his people into a “burning house” with his fight for integration. “If I don’t vote, my people are going to be led into that burning house,” Guadarrama said. He wants to protect his parents, who once housed their family in a shed and now have an American flag flying outside their home, the first house they have owned. And he has his own plans, starting with applying to a four-year university and studying to be an immigration lawyer. “This is the American Dream,” he said.